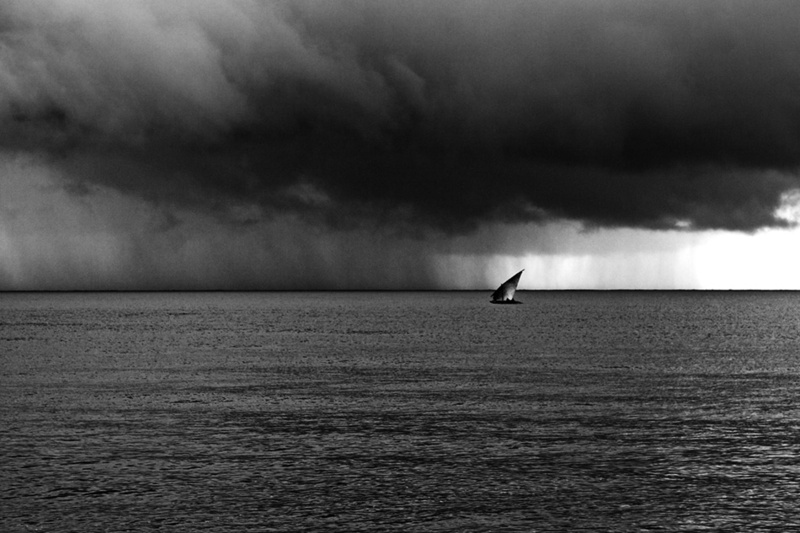 A dhow far out at sea, off the coast of Tanzania. Close to dawn, and under an imminent storm (you fear for the occupants of the little vessel), this image seemed especially suitable for black and white conversion. 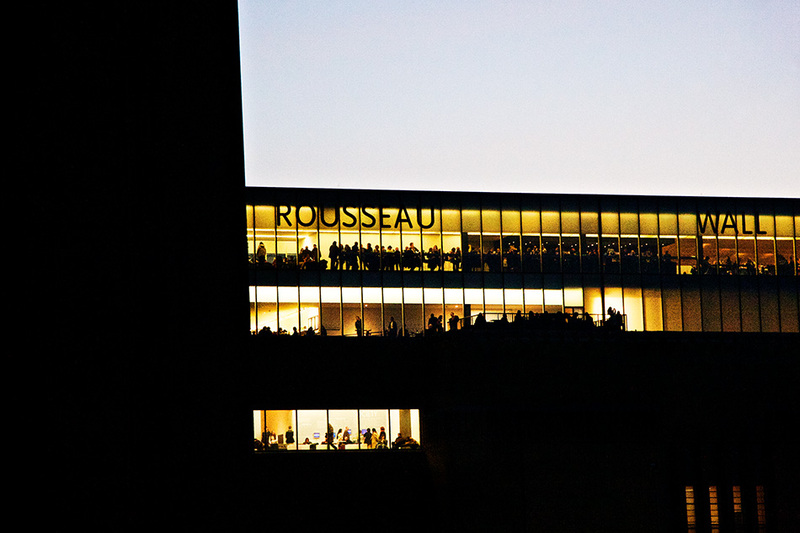 Whenever you have an uninterrupted view to the horizon, it pays to be up before dawn. 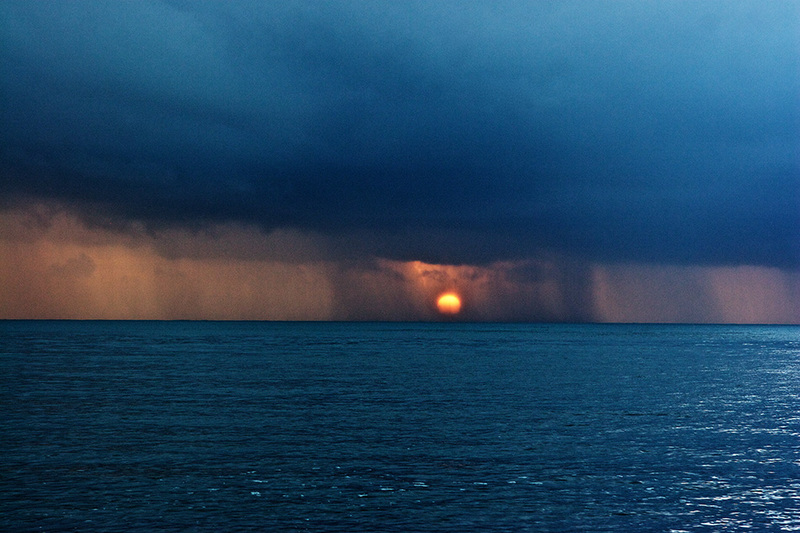 In the tropics the sun rises very quickly and dramatically. You have to prepare beforehand and react very quickly. 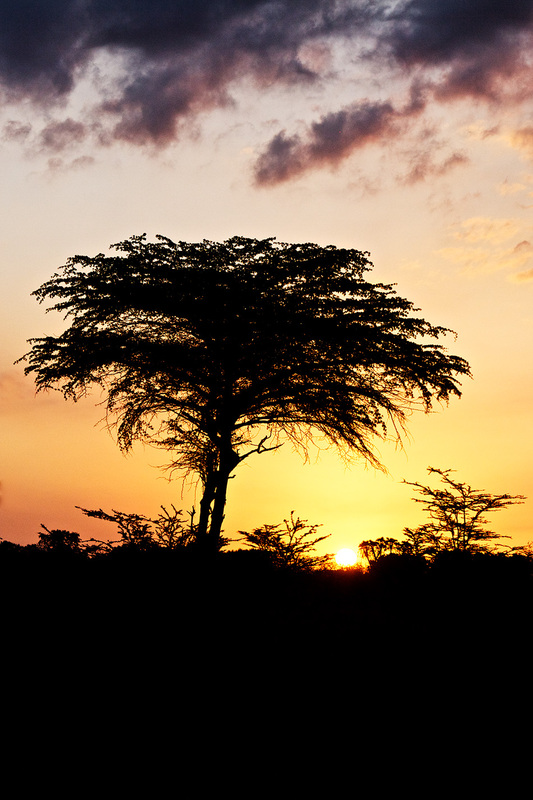 The acacia tree, one of the great symbols of East Africa. This shot taken from the base of Mount Meru didn’t really work as colour image. 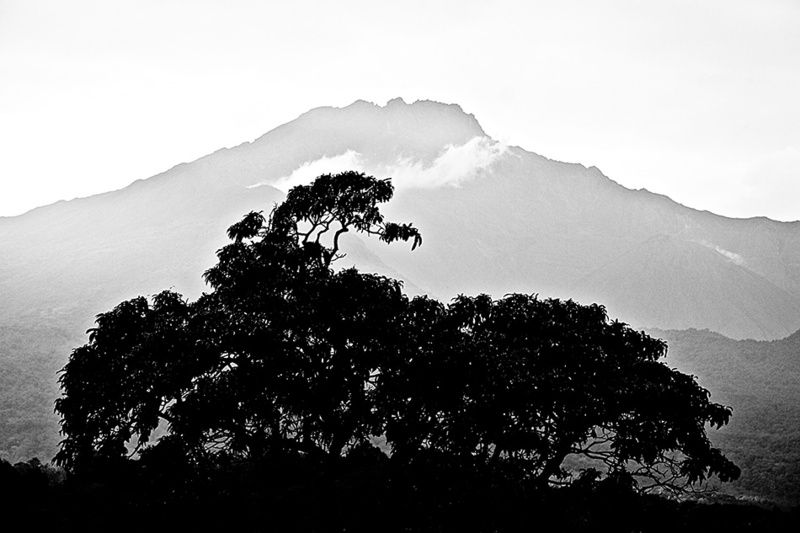 A black and white conversion brings out the subtle relationship between the shape of the mountain and the shape of the foreground tree, making the shot. 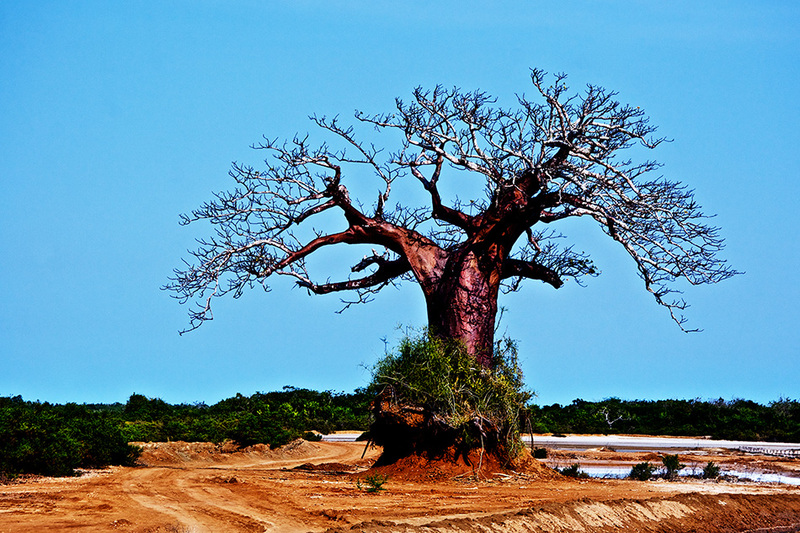 A large baobab tree by a large saline lagoon had over decades absorbed the red algae of the lagoon, staining its massive trunk a deep claret colour. Colour balancing this shot was extremely difficult, the initial camera white balance failed to capture the red staining completely. 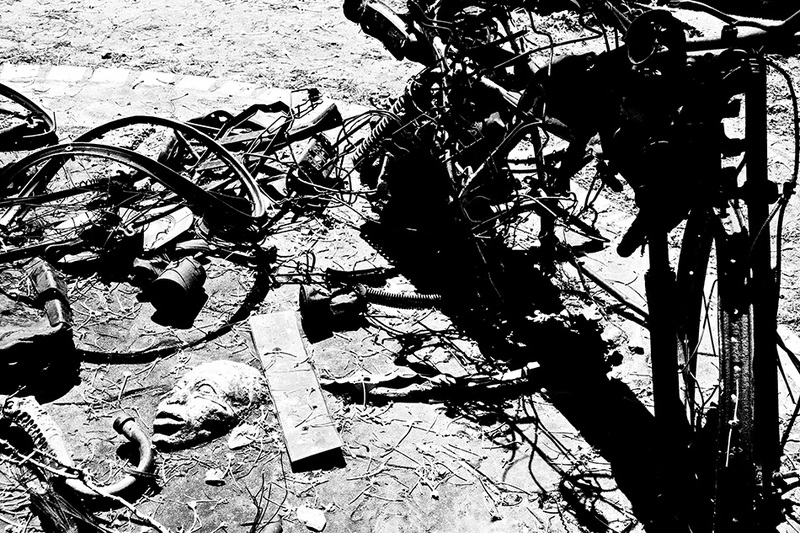 Only in manual balancing was the true nature of the image recorded. This haunting memorial at the National Museum of Tanzania commemorates the horror of the twin bombings in 1996 of the US Embassies in Dar es Salaam and Nairobi. Strong sun provided powerful contrast, exaggerated in post-processing. Anywhere you can find strong light, you can find strong patterns and the potential for interesting photography. 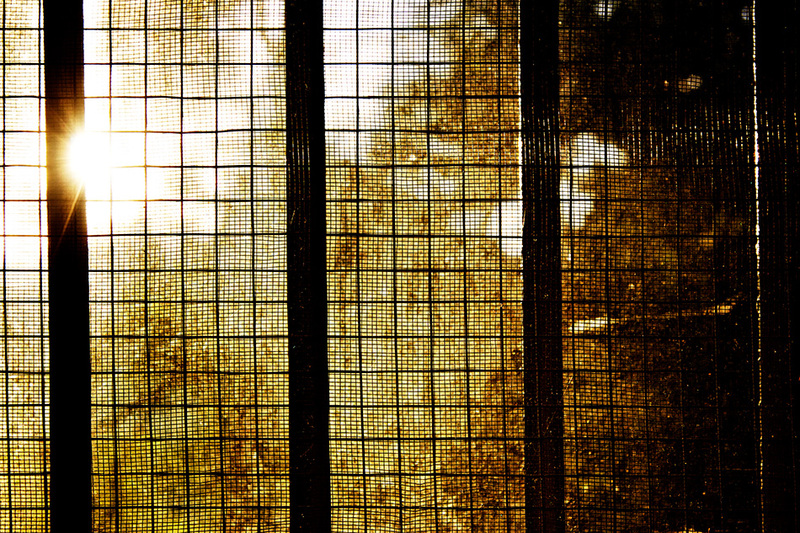 Here an old mosquito screen in the photographer’s house makes an interestingly patterned abstract. One of my most requested images. 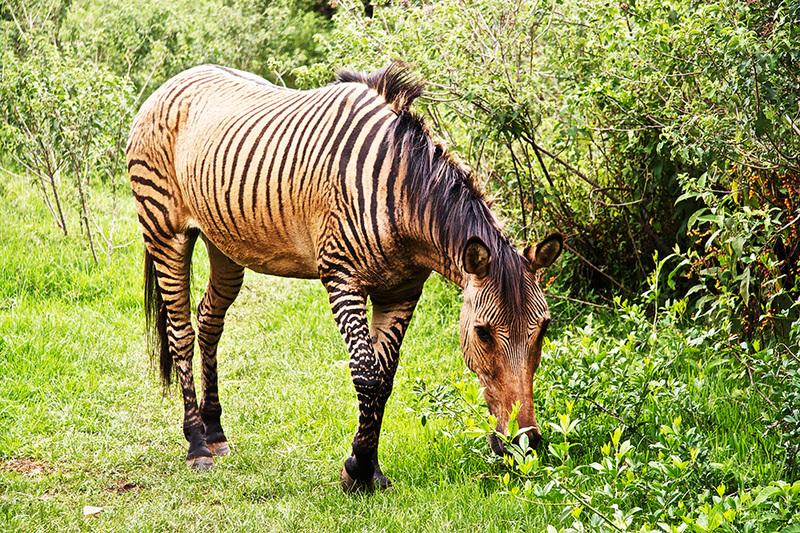 A Zebroid Zorse, the infertile cross of a Zebra and a Horse. An unusual view of one of London’s top tourist attractions. 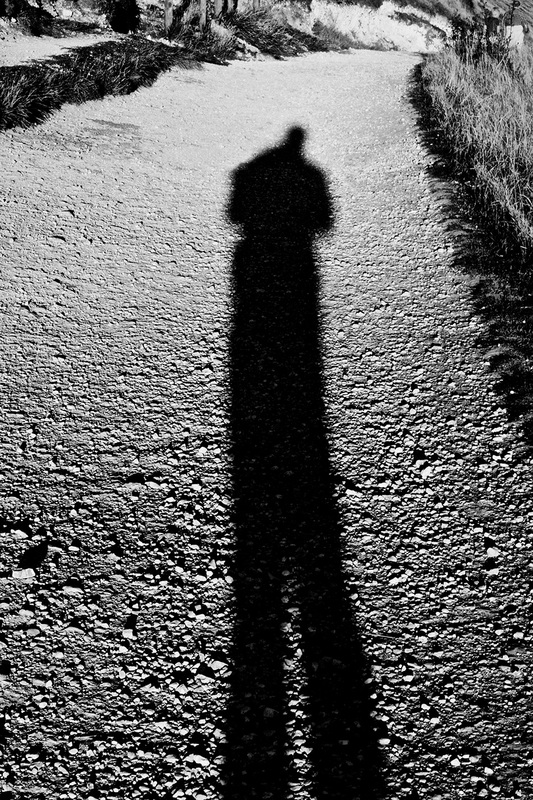 Shadows make excellent photographic subject. Here the photographer visualises himself on a chalk path on southern coast of England, in the final hours of a warm September day.